Hi Friends! Thank you for stopping by and finding out how I’ve turned my blog into a success while raising two little ones and growing a third blessing. It’s been a long journey and a lot of hard work, so the report below is built on years of work. But it’s an exciting report that shows how blogging can still bring in money, even if you’re not working on it for 8 hours a day. 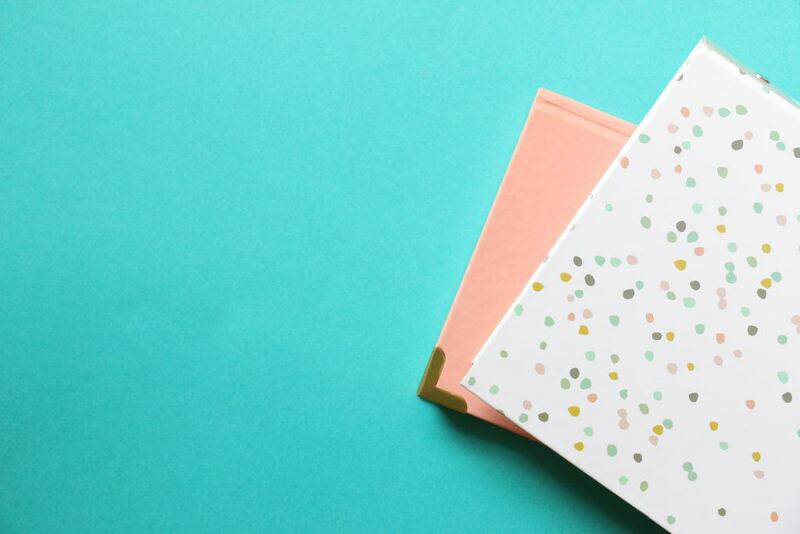 It’s the perfect side hustle for a busy mom with an unpredictable schedule! Some days I can work for 4 hours straight on my blog and get to inbox zero 🙂 Other days, I barely touch my blog and can only post a quick update on Facebook. But regardless of how much time you spend on your blog, if you do it consistently, if you’re always working a little bit pushing forward, you can build a success. It will take time, but gosh momma, it’s worth it! Below my dear husband reveals the details of our September income from the blog. Mostly because my inbox has been overflowing with emails, and I love to answer each one individually and personally, he’s stepped in to help with these amazing income reports every month. I’m honored to have him at my side and he’s been an amazing blogging partner! One little side note. You may find it strange that we reveal our income from our blog. I mean, it’s not normal for people to go around sharing how much they make from their 9-5 corporate job. So why would we do it here? Mostly, it’s to inspire you and show you that blogging is a fruitful side hustle. 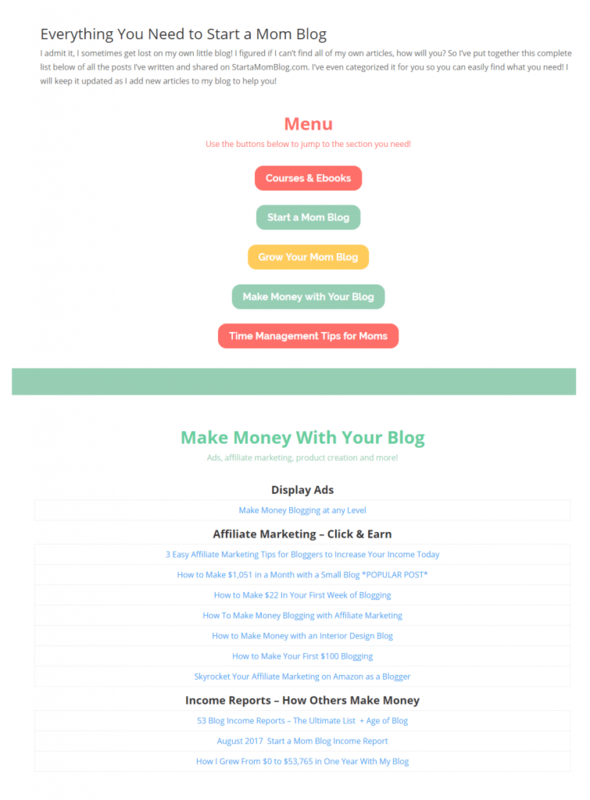 It’s to show you how blogs can make money online – because I was confused and surprised too when I started blogging and saw big bloggers making $100,000 per month with their sites. I feel 110% awkward sharing these numbers with you. But my intent is to inspire you as a mom! We need the motivation. We need to see other moms being successful, even through the difficult struggles of motherhood. We all have so little time to ourselves, and now even less time to start a blog. But I want to show you that with hard work and consistent effort, you can grow your blog to a full time income! The report below shows how I’ve made a full time income with my blog. 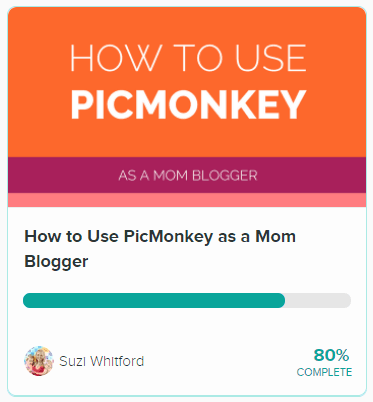 There are different methods and strategies too, and I love to showcase how other moms make money with their blogs – to let you know that other niches make thousands of dollars too per month! Alright, let’s dive into the report below! 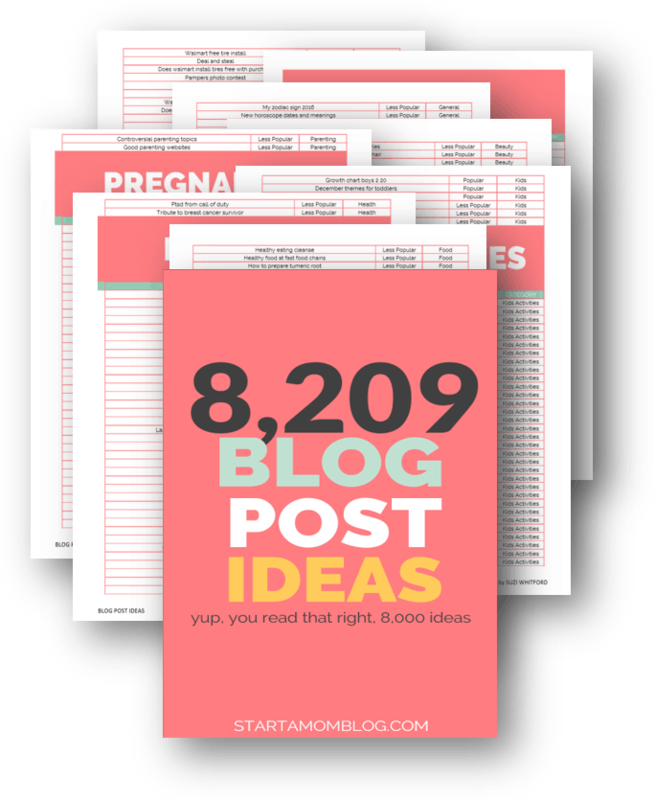 Welcome Back to the Start a Mom Blog Income Reports! John here for another edition of the Start a Mom Blog income reports. A lot to cover, so let’s not waste any time. Is blogging a job? A career? A Hobby? YES. Blogging is whatever YOU want it to be. It can be a full time job with no vacation or benefits. Or it can be something you pick up and put down whenever you want. YOU call the shots. I bring this up here because in this income report, you’re going to see a different side of the Start a Mom Blog team. And it is only through these amazingly special and intimate income reports can we share this part of us. And it is such a privilege to share it with you. We owe so much to you, our wonderful readers. Publishing these income reports is one of our ways to repay you for all the amazing words of encouragement, support, and feedback you give us. Email after email that we read, tells us we are on the right track. We are being true to you. We are doing right by you. We are helping you achieve your goals. And we do this through transparency and honesty. These traits are so important when you are building a relationship with someone, aren’t they? Especially in the online world, you need to be careful whose advice you follow. Who do you allow yourself to be influenced by? Make sure that if you are following the advice from a “guru,” that the advice actually yields results. Sharing what is working and what doesn’t allows us to both reinforce the methods that we find valuable, as well as provide guidance on any failed experiments. And to share the lessons learned from both successes and failures. We also share our income reports to inspire. There were times on our journey when we just felt like quitting. Hour after hour would be sunk into the blog. With little to show from it. And even though these income reports would show incredible incomes being made online, what came through it all was that these were real people. Like you and me. The main thing that stands out about the most successful online bloggers is their consistency. They keep showing up. Keep creating content. Keep experimenting. And keep learning. I hope that through the report you are about to read you realize that we are very real. Very normal. But between the insane schedule of a family with 3 young children, we keep consistent with our blogging business. In September, we allowed ourselves to “Breathe”. And that’s OK.
There’s a phrase out there, “If you’re not growing, you’re dying.” And many people run their lives and businesses that way. Constantly pushing forward, keeping their heads down, and disregarding their health, relationships, and spirit to check more boxes off the list. It’s not how we want to be. Life is too short. Family is too important. You are allowed to rest after a big sprint. And August was a sprint for our little corner of the internet. We were able to launch our brand new Ebook by Number course, run an amazing sale, and hit a record income month of ~$40,000. We decided to focus on a different “growth,” in September. Our son was due in early October (see what I did there? ), and we wanted to plan to take a good 3-4 week “maternity leave” from the blog to help the transition to life as a family of 5. After all, that’s the whole reason to start a lifestyle business, right? Ultimate flexibility to create your ideal life. So to prepare for the little guy, our #1 goal in September was to prepare for our upcoming time off. Guest posting is incredible! It’s one of those no-brainers to implement in blogging. You benefit by not having to create a post for that week. Your guest benefits by gaining access to your list. Your audience benefits from the collaboration as well! We knew that guest posting would be a big component of our maternity leave strategy, so during September we spent a lot of time working with our guests to edit their posts, create images that work with our brand, and finalize the posting schedule. There are some amazing posts that have already been published on the blog, be sure to check them out! How to Start and Make Money with a Kids Activity Blog – One of my favorite guest posts! The Busy Parent’s Guide to Launching a $5,000 Online Course – Featuring a stay at home dad! 3 Bad Habits That Stop Moms from Starting a Blog – Habits I still struggle with every day. 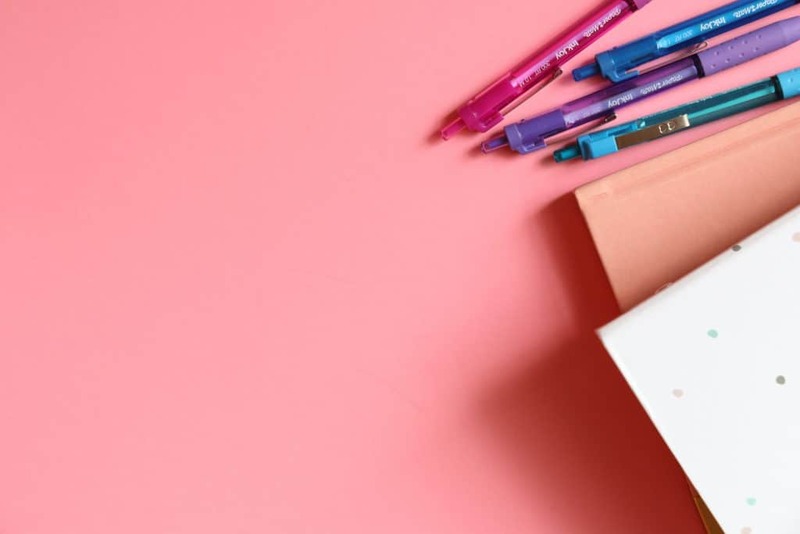 With our guest posting schedule figured out, Suzi prepared her weekly newsletters in advance, and scheduled them easily with Convertkit’s many automation features. Email is such a huge part of Start a Mom Blog. We love talking with our audience, and email really allows us to get to know each other on a 1:1 basis. Because of this, we have always been nervous to put up a vacation responder for our emails. We always want to be accessible to you! But we knew that was one of the things that would need to quiet down for us to really focus on the family during those vital first weeks of our son’s life. But instead of putting up a generic “I’m on vacation,” message, we wanted to be as helpful as possible! So we went through the painstaking process of collecting and organizing all of the articles that have been written here over the years that we have been creating content. With the new archive, it is easier than ever to skim through all of our content and get your questions answered easily! This will be a great resource for anyone new to the site, as well as any seasoned SAMB veteran who wants to go back to one of the older articles like Suzi’s Super Simple Weekly Schedule! Right here I want to say a quick “Thank you!” for anyone who had a question for us during our baby leave. It’s great to have such an understanding audience, and we will be getting through ALL the emails shortly! We love our hosting company SiteGround. We are happy every chance we get to promote them because they are very literally the foundation of everything that is possible with this blog! I believe it’s important to know the products you promote just as deeply as you know your own products! You can definitely tell the difference in bloggers who promote a product just for the commission, versus those that truly love the company they are supporting. If you are considering becoming an affiliate for a company, learn everything there is to know about it. Look online to see what tutorials exist. And if you figure out how to do something that hasn’t been very well documented, that’s a great opportunity to create some great content! Check out our quick walk through on how to set up your professional email addresses using SiteGround. And giving good honest reviews about any product you promote is very helpful. Share the good with the bad, and use your own voice. It will build trust with your audience because you will be genuine and will show that you truly understand the company yourself. Think about your own niche, are there affiliate companies you can support and dive deeply into? Can you share review posts of them? Or tutorial posts? For example, if you’re a mom fashion blogger, you could write an indepth review of StitchFix or Amazon Prime Wardrobe. As you all know, Texas was hit by a powerful Hurricane Harvey in September. To do our part to contribute to the cause, we ran a quick Harvey Relief fund where we sold 3 courses for the price of 1, and contributed 50% to the Red Cross to support the families affected. As a result of this quick effort, we were able to contribute over $400 to the Red Cross! Thank you to everyone who took action to help those in need! OK, we said we were going to calm down during September… but Suzi loves teaching! 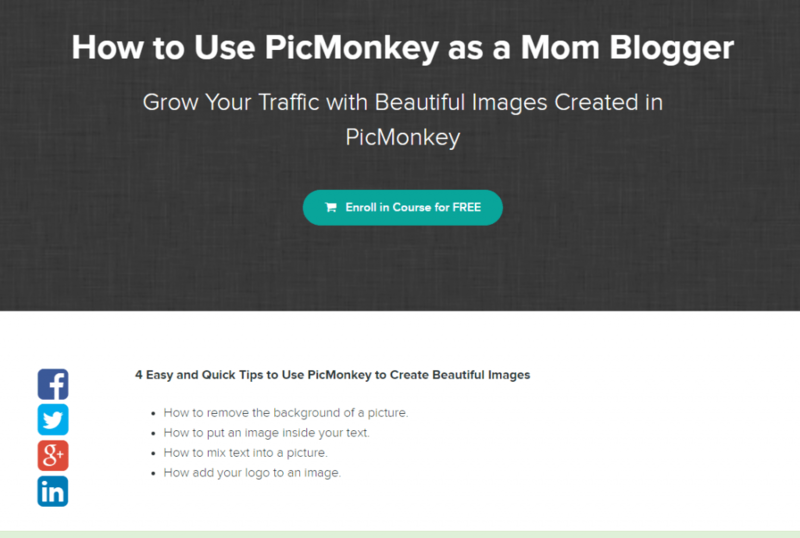 Because of all the great feedback she’s received on how she makes pinnable images, she put together a free course on how to use Picmonkey as a mom blogger! It’s great that platforms like Teachable make it so easy to create professional courses and offer them for free! Whenever you learn how to do something new, consider making a quick tutorial on it. It helps cement the learning in your own mind. It helps others. And it builds trust. And once you figure out the system that works for you, you’ll be able to do it in record time! 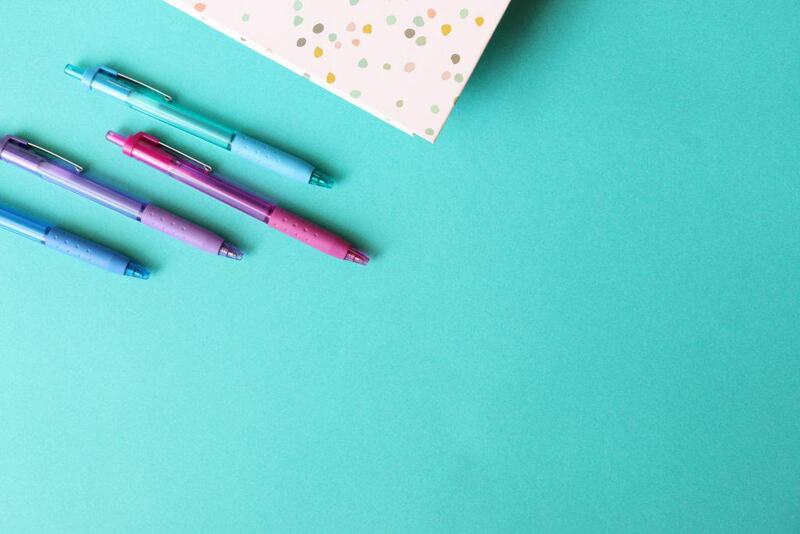 So let’s get down to business – how did Start a Mom Blog do in September? September was a month for us to take a breath, focus on family, and plan for the future. While we were definitely busy on the blog, we didn’t launch any major products, didn’t spend a ton of time creating content, and didn’t feel stressed out about what was going on. And even in this relatively calm month, we made over $24,000! It’s because blogging is residual income. It’s definitely not passive. You have to put in the work. No one is going to do that for you. But once the work is done, it continues to pay off. It’s not a job where as soon as you stop working, you stop getting paid. You’re building an asset. Something that will work for you even when you need to take a break. That’s something special. We are blessed to have started on this journey. We are blessed to be able to take time as a family, while continuing to serve our amazing audience. What a time we live in! 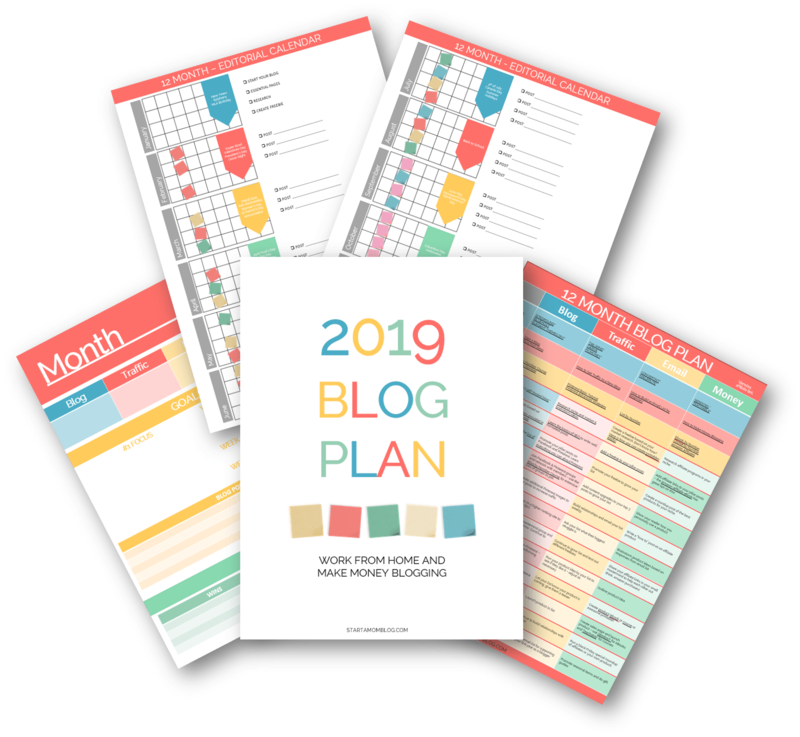 If you haven’t started your blog yet, I hope this income report will show you that even when taking a step back and being strategic, you are able to create a great life that works for your family. And speaking about Family, I can’t wait to write October’s Income report, where we get to meet the newest member of the Start a Mom Blog team!! I noticed that a majority of your income comes from selling products. I am also trying hard to earn money out of my blog but often find it so difficult. Affiliate sales take place rare. After, going on through your income report, I am thinking about creating products. Let me try this out. Products are great! You have control over the content and price and marketing. And if your readers trust you, they’ll invest in you too. Hi, Suzi! I love all the practical tips that you are giving your readers.  However, I notice all the mom bloggers that you refer to who are making a profit are moms whose blogs are also focused on the topic of blogging itself. Can you send me to some mom bloggers who make a profit who are not in the “start a blog” niche? Thanks!